Since performing as soloist with the Boston Symphony Orchestra at age 18, cellist Nicholas Finch has established himself as an artist of great depth and diversity, performing a wide variety of repertoire both within and beyond the classical genre. 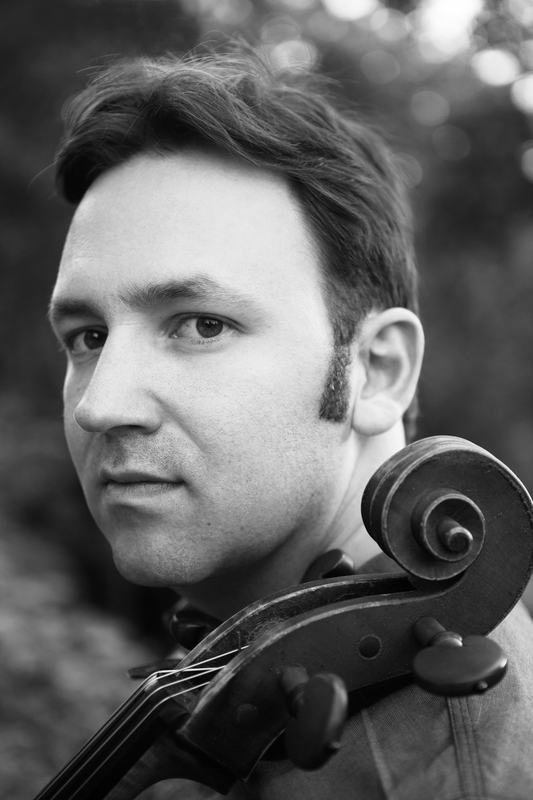 Finch was appointed Principal Cellist of the Louisville Orchestra during the 2013-2014 season by music director Teddy Abrams – during that same season he also appeared numerous time with the elite Boston-based chamber orchestra ‘A Far Cry’, touring to Maine, Vermont, New Hampshire, and Illinois. He is featured on two recordings with A Far Cry – “Dreams and Prayers”, which received a Grammy nomination in 2015, and ‘The Law of Mosaics’, which was selected by New Yorker music critic Alex Ross as one of his top CD picks. 2016-17 performance highlights include a Boston recital debut, return performances at the Lake George Music Festival, multiple appearances with the Jupiter Chamber Players in New York, sonatas and chamber music at the Paley Music Festival in Richmond, Virginia, new appearances with ‘A Far Cry’ in Boston, and performances of the CPE Bach Cello Concerto in A major with the Louisville Orchestra and performances of the Dvorak Cello Concerto with the Louisville Civic Orchestra. Next season Finch plans to debut a new cello concerto written for him by New York based composer Dorian Wallace. Finch has collaborated with some of the most prominent artists of today, including cellist Yo-Yo Ma and his Silk Road Ensemble, violinist Sarah Chang, pianist Joyce Yang, conductor Keith Lockhart, fiddler Jeremy Kittle, the Argento New Music Ensemble, the Aspen Contemporary Ensemble, Ensemble 20>>21, and composers Gabriela Lena Frank, Osvaldo Golijov, Andrew Norman, Bright Sheng, and many more. Performances have taken him to the Kennedy Center, Carnegie Hall, Merkin Hall, Boston’s Symphony Hall, Spectrum in New York City, and Alice Tully Hall. He has made concerto appearances with the Boston Symphony Orchestra, the Louisville Orchestra, the Melrose Symphony Orchestra, the Louisville Civic Orchestra, the Quincy Symphony Orchestra, and the Boston Civic Orchestra. A native of Boston, Finch began his cello studies at the age of 12. He attended Harvard, Juilliard, the University of Michigan, and the Mannes College of Music, studying with Harvey Shapiro, David Soyer, Richard Aaron, and Marcy Rosen. He attended the Aspen Music Festival and School for Six Summers, three of which he performed as the solo cellist of the Aspen Contemporary Ensemble. For two years Finch was a member of the Grand Rapids Symphony Orchestra, during which time he made appearances as principal and assistant principal cello. Finch currently splits his residence between Louisville and New York City.